Hopefully the following info will help you to decide what type or style of beer that you like. 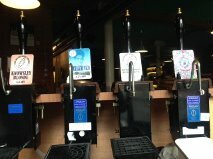 There are so many styles of beer and it would be impossible to list them all in this post but here is a selection of popular styles that Melwood like and brew currently. The latter styles we have plans to brew in the future although we don’t think we’ll be brewing Mild any time soon as we find that there is very little demand for this style of beer so this is included just for info! 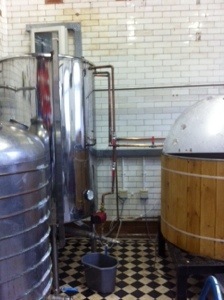 The English Pale Ale can be traced back to the city of Burton-upon-Trent, a city with an abundance of rich hard water. This hard water helps with the clarity as well as enhancing the hop bitterness. EPA can go from golden to reddish amber in colour and has a mix of fruity, hoppy, earthy, buttery and malty aromas and flavours. All ingredients must be English. The Bitter style came from brewers who wanted to differentiate their ales from other mild brews but they used pale malts and more hops. English bitters are gold to copper in colour and are light bodied. They have a moderate Hop bitterness and most have a fruitiness in aroma and flavour. All ingredients must be English. This style is now popular worldwide and uses American hops, which are becoming very popular. There is usually a good balance of malt and hops and they tend to be fruity with bitterness that can range from lightly floral to pungent. Amber or red ales range from amber to deep red hues. This style of beer tends to focus on the malts, but hop character can range from low to high usually resulting in a balanced beer, with toasted malt characters and a light fruitiness. Pale straw to deep gold colour with a light to medium hop bitterness. A balanced beer which is light bodied. An Americanised version of a Hefe Weizen, these beers range from pale to golden in colour. They look like Hefe Weizen (cloudy) unless they have been filtered. Brewed using substantial percentage of wheat malt they are moderate in hop bitterness but gain a fruitiness during fermentation. First brewed in England and exported to India during the late 1700s. IPA’s were Pale Ales that were more malty, had a higher alcohol content and were well-hopped. The English IPA traditionally had a lower abv and used less, English hops than the American IPAs but they are evolving to include hops from all around the worlwith an increased abv. Stouts are typically dark brown to black in colour. They are brewed using roasted barley which gives dry character to the beer as well as a big roasted flavour that can range from burnt to coffee to chocolate. Porter is said to have been popular with transportation workers of London, hence the name. Porters are typically brewed using a pale malt base with the addition of black malt, crystal, chocolate or smoked brown malt. Hop bitterness is moderate on the whole and colour ranges from brown to black and are complex and interesting beers. These are generally stouts that have the addition of oats to the mash. The oats add a lot of smoothness to the mouth feel but they also have an extra sweetness that is unlike any other type of stout. Saisons were farmhouse ales that were traditionally brewed in the winter and are a complex style; many are very fruity in the aroma and flavour. Lots of spice and with a medium bitterness. They tend to be semi-dry with many only having touch of sweetness. A Belgian Style ale that’s very pale and cloudy in appearance due to it being unfiltered and the high level of wheat, and sometimes oats, that’s used in the mash. Always spiced, generally with coriander, orange peel and other oddball spices or herbs in the back ground. . Often referred to as “white beers” (witbieren) due to the cloudiness / yeast in suspension. Similar to an ordinary bitter yet not as hoppy, the English Mild is a delicate malty brew. Hops are generally mild with a balancing bitterness. Fruitiness, sulfur and buttery flavours. If you would like more info on the Melwood beers listed here please go to our contact page for details on how to order. Well we are finally in! It’s been a strange December; the actual big move was delayed somewhat by works on-going at the Kennels and then the necessary Asbestos inspection that totally threw us before we could move the kit in situ. We passed the Asbestos inspection thankfully and the Melwood kit is now residing in its new brewhouse with Stan doing a few adjustments here and there even up to today. 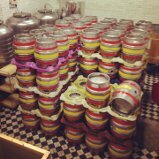 Christmas sales were mental and we realised we hadn’t brewed enough or bottled enough, so we have learned a lesson – (never move to new premises over the Christmas period) – no – Be Prepared! Next year will be different, we promise! And a new year and a new start for Melwood. In 2016 we have big plans for development of our brand(s), our new beautiful Kennels home, exciting new company plans and above all, developing better beer, nay, fabulous beer! We will have a launch, once we are sorted out and tidied up so keep your eyes peeled for more news as it comes. We hope you’ll come along with us in 2016, on our ‘journey;’ (sorry about the cliché) It’s gonna be a wonderful year for us. Hope yours is too! Melwood Yuletide Happiness to Everyone! As we approach the season’s festivities it will hopefully be a time for some rest and relaxation for Melwood after two full years in existence. 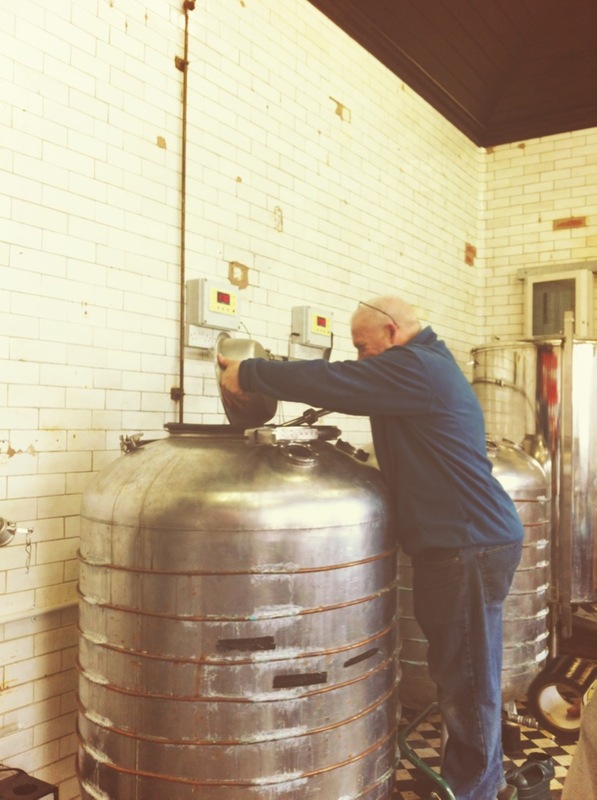 The company was established and we acquired our current premises in November 2012 (although we didn’t start brewing until March 2013) but it has been all go for us for the last two years. We have been growing and developing in all this time and we feel that we will start 2015 with a clear vision for how we want to go forward. There will be a few exciting developments which we will announce as the year progresses and we will be working even harder to produce the kind of ales you want to drink. In the meantime we thank all our loyal customers, (with a special thank you to Laura at The Caledonia *special thanks*) for all your business throughout this year. 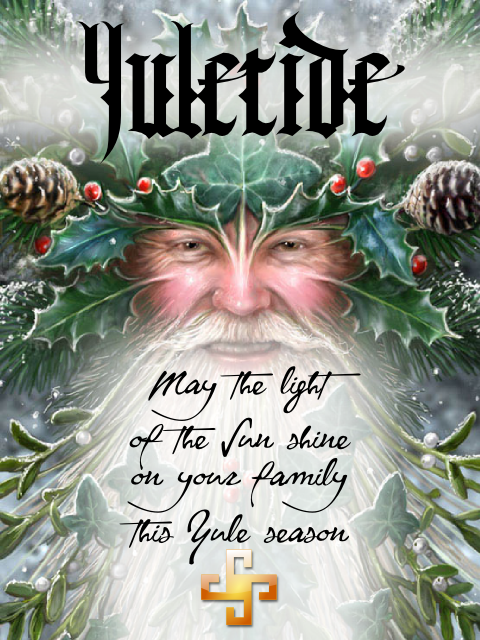 We hope you have a peaceful (but profitable) Yuletide and a Happy New Year. To all you fantastic real ale drinkers out there who are supporting us and our independent pubs and restaurants with your discerning tastes by buying our ales and enjoying them; we hope that you have a great time enjoying them further over the festive period and have a Happy New Year! 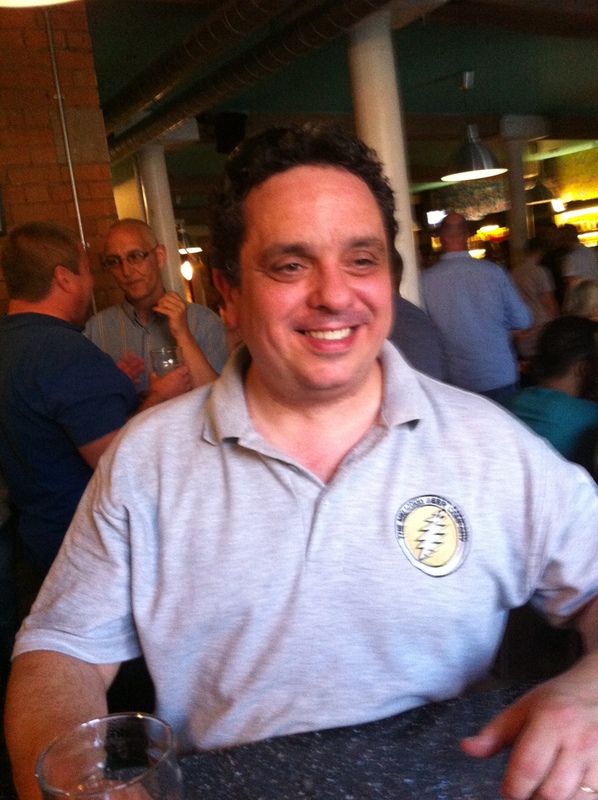 And to Stan Shaw, our Master brewer; you have made our brewery work so much better with your skills and engineer-genius brain that we cannot thank you enough for everything you have done. 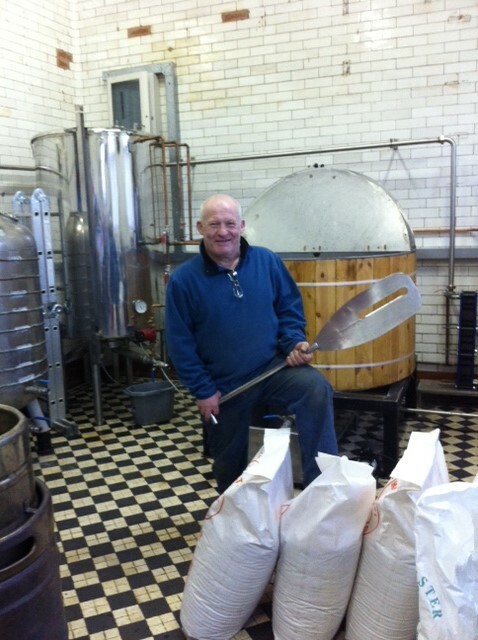 We hope to develop our beers with you in 2015 and beyond. Thank you Stan! 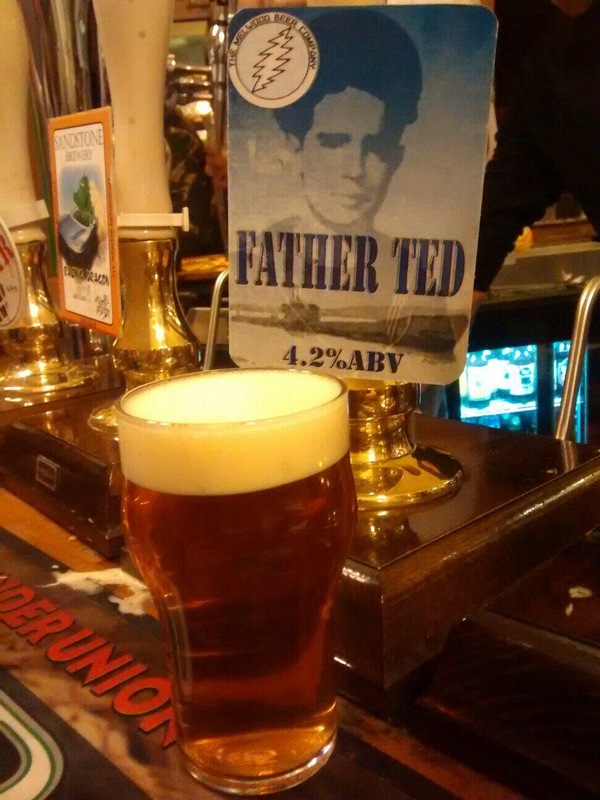 FATHER TED 4.2ABV Fantastic chestnut colour with a backbone of warm, mellow All English hops: Challenger, Pilgrim and a shot of Fuggles. 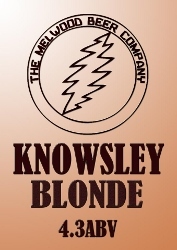 KNOWSLEY BLONDE 4.3 ABV – Crisp, refreshing pale ale using only Atlas hops – a hybrid of Brewers Gold and Slovenian Wild Hop. This beer has a fresh hoppy aroma with a pleasant bitter taste. 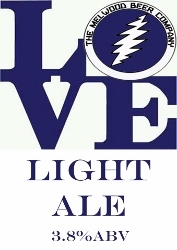 Lovelight 3.8%ABV- Light very hoppy blonde beer. Three types of American hops make this beer a bold yet refreshing drink with tons of hop aroma and a crisp biting flavour. 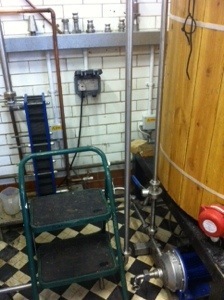 Proper hop bomb. 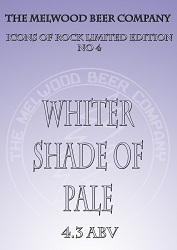 A pale ale, single hopped with Chinook hops make for a hoppy but very drinkable very pale ale. Originally brewed as No4 in our limited edition ‘Icons of Rock Series’, this ale proved so popular it had to be brewed again! 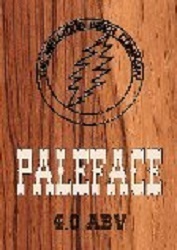 PALEFACE 4.0 ABV: As the name suggests –a pale hoppy beer brewed with lots of late summit hops giving it a full flavour with great mouth-feel and long hoppy aftertaste. A light pale ale single hopped with American Citra hops giving the classic grapefruit, lychee and gooseberry aromas this hop is famous for. 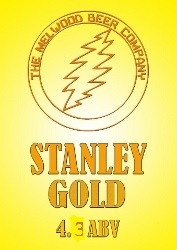 Stanley Gold 4.3 ABV– Triple American hopped with Cascade, Centennial and Amarillo giving this beer a crisp hoppy flavour and a beautiful citrus aroma; a well-balanced but complex, refreshing beer. No7 in our Icons of Rock series, this Chestnut bitter is quadruple hopped with a slight Slovenian twist from the Atlas hop, making this beer robust but well balanced with a fresh hoppy aroma to compliment the British malt backbone. Only here for the beer?? 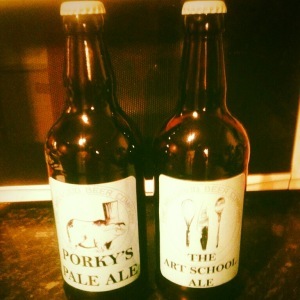 Mrs Melwood revealed recently that Melwood had been privileged to be chosen to supply bespoke ales to the fabulous new restaurant on the Liverpool Scene – The Art School which opened this month fronted by Chef Extraordinaire Paul Askew. 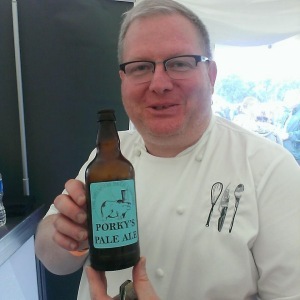 We thought we would give a bit of a big up to Chef Askew, or ‘Porky Askew’ as he is affectionately called, for choosing our beer for this stunning new restaurant. 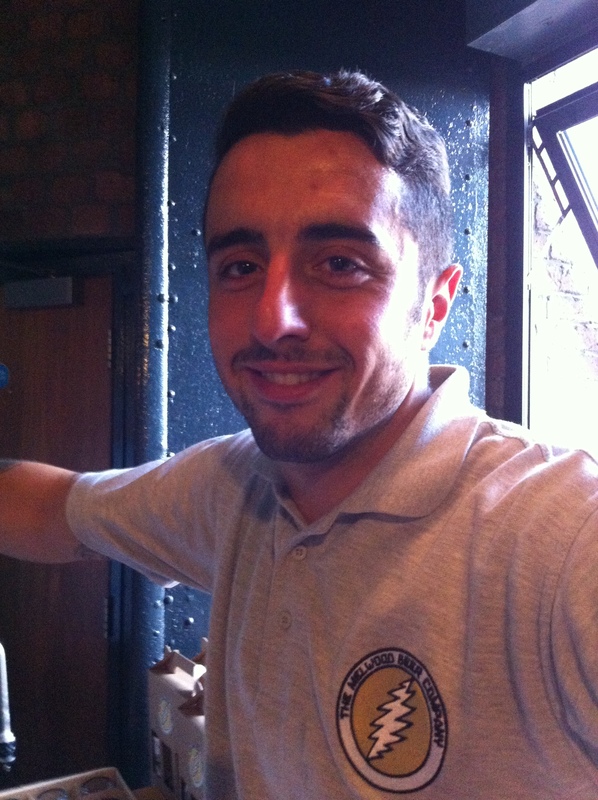 In fact Paul and his wonderful Restaurant Manager, James Campbell were so ‘blown away’ by our beer that they just couldn’t choose ONE beer – they chose two to be their signature beers and they liked KNOWSLEY BLONDE so much they wanted to stock it in their amazing bar as well! We are so very flattered that they think so much of our ales and appreciate all they do to promote local producers buy buying locally whenever possible. The two beers Paul and James chose are aptly named ‘PORKY’S PALE ALE’ and ‘THE ART SCHOOL ALE’ and are available to order with your meal at the restaurant or you can take them away in gift packs should you so wish – together with our cheeky, tasty ‘KNOWSLEY BLONDE’. 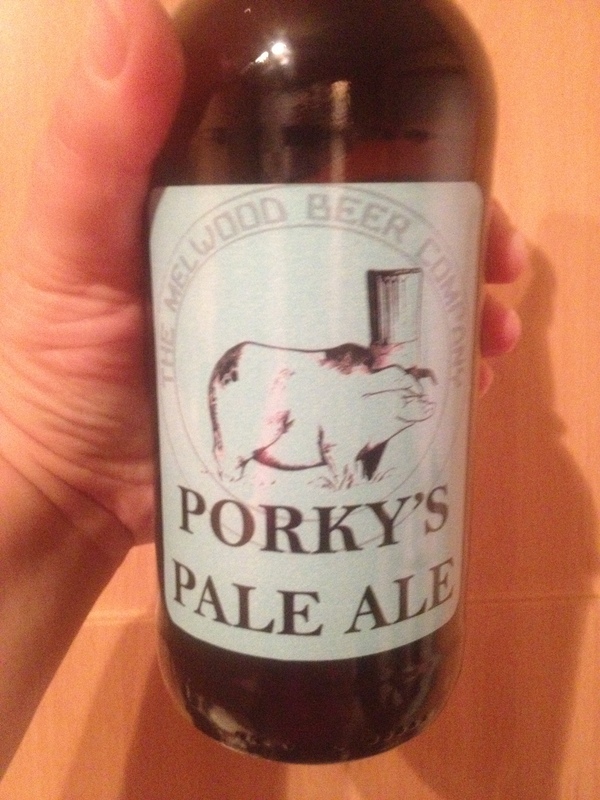 The exquisite ‘PORKY’S PALE ALE’ 4.0 ABV is a fabulously pale ale which is flavoured with Summit hops giving robust citrus notes of orange, tangerine and grapefruit. The Summit hop has been mooted by some as the ‘ideal hop’ for the ‘ultimate’ pale ale which is what we think Porky’s Pale Ale is! and it’s Paul’s choice to bear his moniker. Notwithstanding this, the impeccable, even paler ‘THE ART SCHOOL ALE’ 4.0 ABV is flavoured with Chinook hops which give similar grapefruit and citrus flavours to Summit but a with an added spicy hint and smell, followed by tropical fruit notes and slight tangy pine – James’ favourite and if I dare say, Mr Melwood’s too! KNOWSLEY BLONDE: 4.3 ABV A crisp, refreshing pale ale using only Atlas hops – a hybrid of Brewers Gold and Slovenian Wild Hop – This beer has a fresh hoppy aroma with a pleasant bitter taste and is fast becoming our best selling beer. 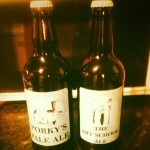 Chosen by Paul and James as worthy to grace the elegant bar of The Art School, we are VERY proud of this beer. 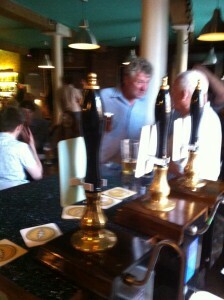 It can be found also gracing the bars of the finest pubs in Liverpool and beyond! Now unfortunately we haven’t had the opportunity to dine at The Art School yet (shock, horror! Will be rectified asap) but we know a man who has! Just follow this link: http://electrokemistcuisine.weebly.com/blogs/electrokemistry-review-the-art-school-Liverpool to see friend of Melwood, Pedro Cotzier’s, mouthwatering review of The Art School. We can vouch for the real ale but Pedro will fill you in on the amazing food and service to be found here. And you can find more information and make your reservation here at The Art School’s website. 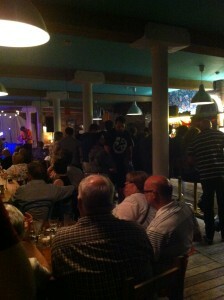 We sincerely hope you enjoy your superb meal and the fabulous real ale. 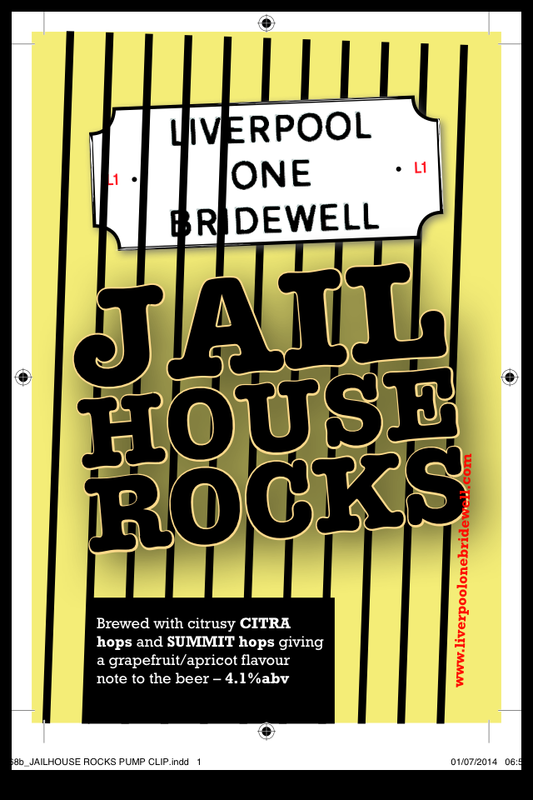 Just to let you know that although we are not appearing personally at the Liverpool Food & Drink festival (Costs so high I’m afraid and it way out of our budget this year) we WILL be represented by Liverpool One Bridewell who are serving our bespoke beer ‘Jailhouse Rocks’ on cask and by the fabulous Paul Askew and The Art School Restaurant who will be serving our bespoke bottled beer, ‘Porky’s Pale Ale’ and our very own ‘Knowsley Blonde’ (again in bottles), for your delectation. 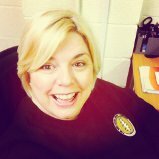 Please remember them when voting online for the awards http://www.liverpoolfoodanddrinkfestival.co.uk/?page_id=166 Both restaurants do so much to promote local producers especially Liverpool producers. A first for Melwood, the Summer Shakedown planning started months ago. At the time I don’t think we appreciated just how much work was involved in getting ready for it. It taught us a major lesson – be prepared! So just what was involved? 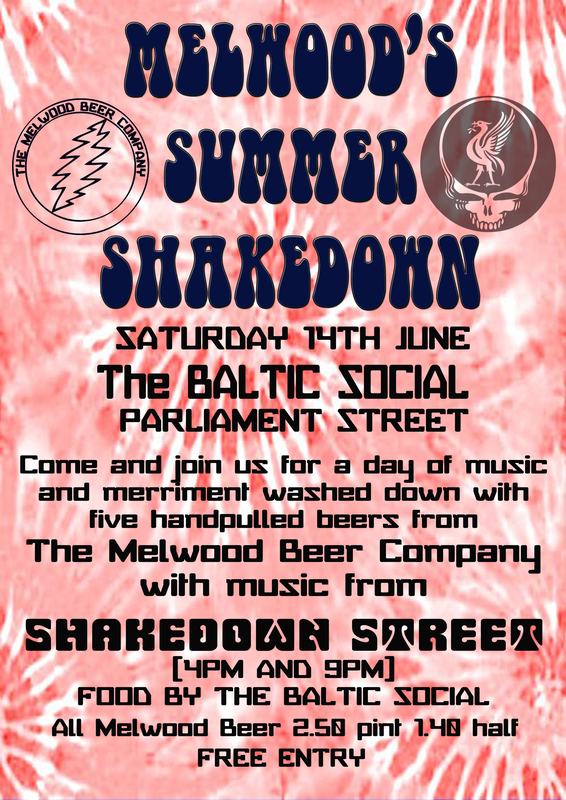 Well we are a small, independent brewery, pretty much doing everything by ourselves so when we approached The Baltic Social with our idea for a music and beer day we didn’t really know if they would ‘go’ for it. 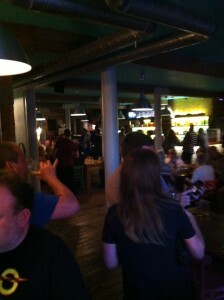 We knew they had hosted a beer party before with our friends from Mad Hatter but this event was on a different scale. So when they said yes and we booked the date we didn’t have a clue that it was on the same day as England’s first World Cup game! However, when we found out we embraced it and incorporated the showing of the match into the Shakedown. 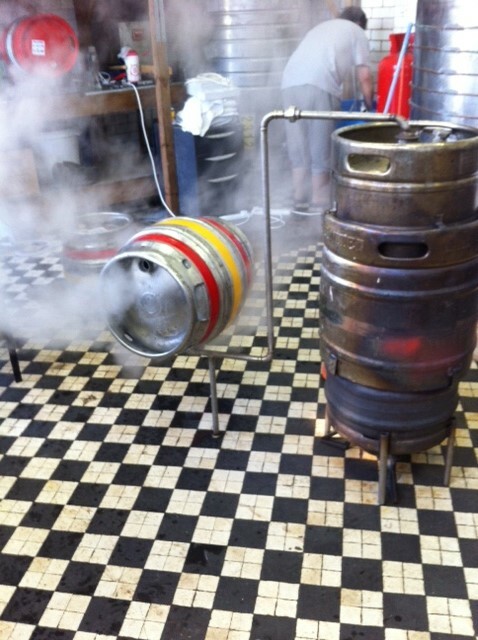 As for the beer we had to ‘drop it bright’ which involves transferring the beer from the cask into a new ‘clean’ cask so that there is no yeast floating around. This helps because the beer needs to be transported to the venue with the best chance of being clear when pulled on the handpulls in a short space of time. 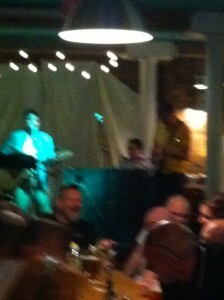 Shakedown Street Liverpool is the band. Consisting of Tom Traynor on drums, Tim Doyle on Bass guitar, Bill Stoddart on lead guitar, Jason Parr on rhythm guitar and vocals and our own Mr Melwood, John Marsden, on Hammond Organ. 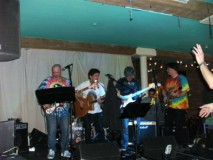 Originally started off as an exclusive Grateful Dead covers band, these Deadheads were brought together due to a mutual love of the American 60s psychedelic band, The Grateful Dead. John had been in varying bands with Tim and Jason over the years but Shakedown Street has been the one with longevity with the bandmates doing it just for the love of it. 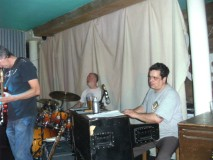 They are a great band and they meet every week to rehearse, playing gigs as and when their various time schedules allow. How cool was it that they were able to play Melwood’s Summer Shakedown?! Melwood’s Flagship beer. It was the first one we brewed only 15 months ago – A light pale ale single hopped with American Citra hops giving the classic grapefruit, lychee and gooseberry aromas this hop is famous for. 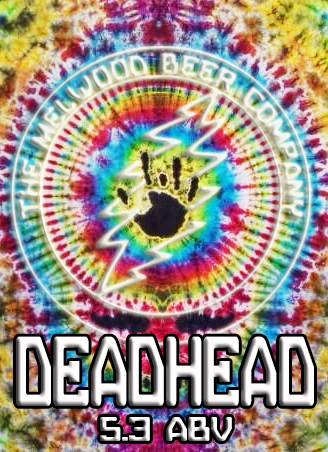 Another of first brewed beers this beer was called Deadhead for obvious reasons! 4.1%ABV – A hazy lazy hoppy beer full of cascade and amarillo with just the slightest hint of citra and the very end gives it a robust yet fruity flavour and aroma. 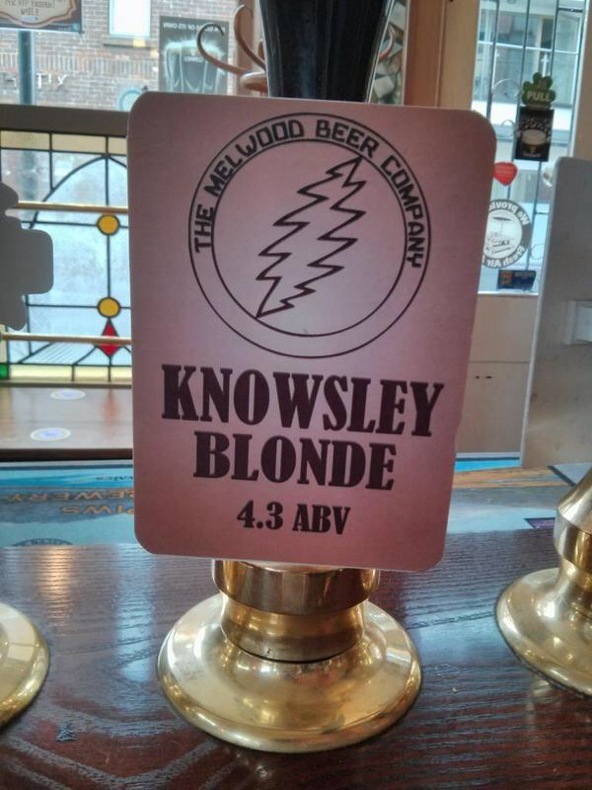 Named after our fabulous surroundings in Knowsley Park and a little bit of a nod to MrsMelwoodbeer, the only ‘Blonde’ brewing beer in Knowsley! 4.3 ABV – Crisp, refreshing pale ale using only Atlas hops – a hybrid of Brewers Gold and Slovenian Wild Hop. This beer has a fresh hoppy aroma with a pleasant bitter taste. 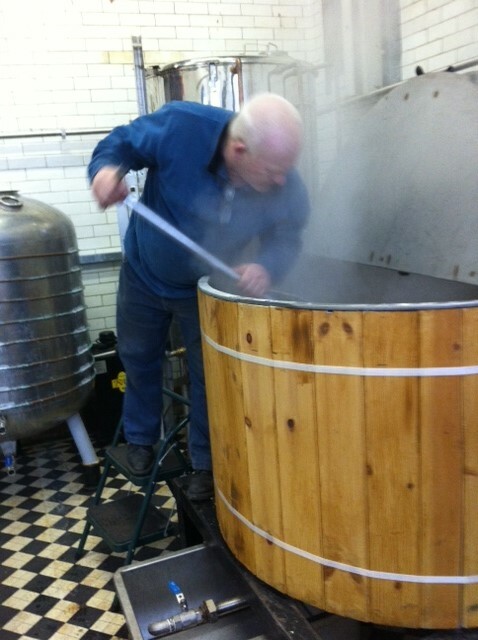 Stan’s inaugural brew with Melwood, this beer was his first in the ‘Derby’ range – for obvious reasons again, Stan has strong connections with the Knowsley Estate and lives two minutes away – perfect! 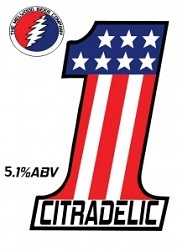 3.7 abv Triple hopped using three hop varieties from the USA and the UK. Expertly blended to create a pale ale with depth and character, this ale has subtle IPA undertones and a pungent spicy aroma. 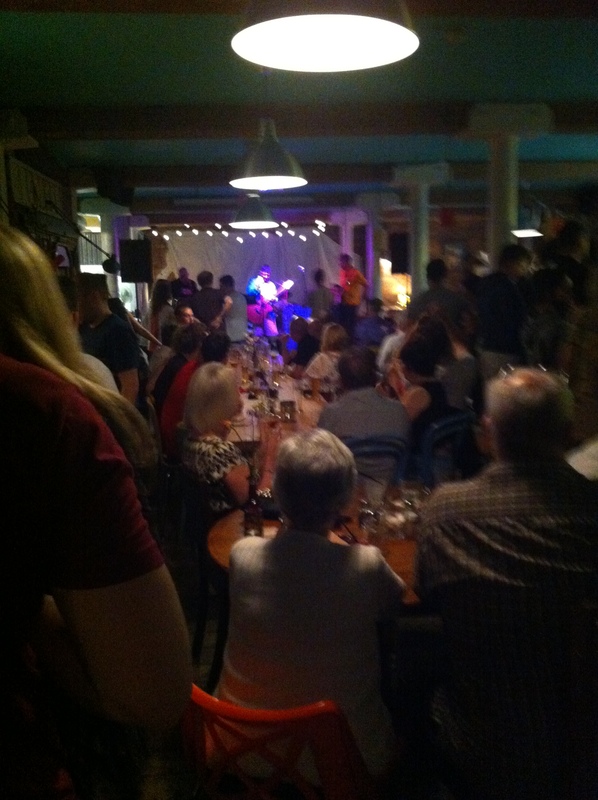 The Baltic Social brings together quality food, boss music and belter drinks to provide a unique experience in the heart of Liverpool’s Baltic Triangle so their website says – and it’s true! 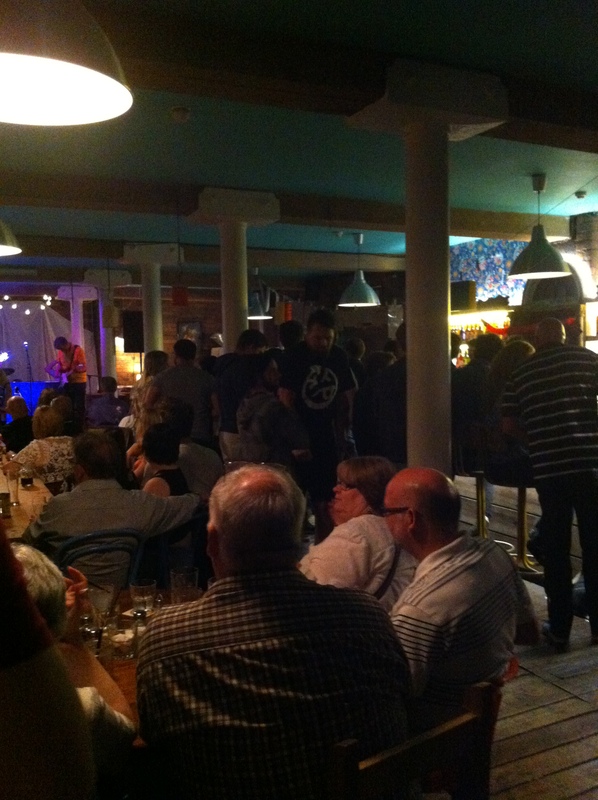 When we first went there to suss the venue out we were VERY impressed with the ambience of the place and the great music that was being played. And the food! Great menu to choose from; from breakfast through to dinner there’s definitely something on the menu to tempt everyone! 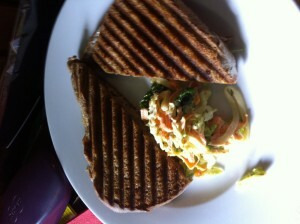 The Baltic Social’s Tuna Melt hot sandwich mmmmmm! We arrived at The Baltic Social at 9am on Saturday morning with our bar, five hand pulls, six casks, loads of piping, taps and bar paraphernalia. 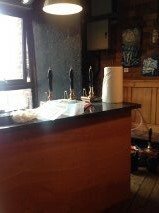 John and Julie carried the bar and casks into the Baltic themselves and began setting it up ready for a 12pm start. The bar was set up by 12pm but the beer wasn’t quite ready for roughly another half hour later. It had such a short time on stillage that it needed a bit more time to settle from the journey but it improved very quickly and was being drunk pretty soon afterwards. Our first customers were our loyal followers Ruth & Paul Hoyte and ‘Wirralerob’-Rob Shaw and it was very nice to meet them all! Mr Greg McFarlane and his wife had travelled all the way from just outside Edinburgh for the event because he loves the Grateful Dead and Shakedown Street and Melwood Beer! So he was our next customer and he stayed for the afternoon whilst his wife went shopping in Liverpool. What a nice way to spend the afternoon for him! They both returned for the evening session later on. 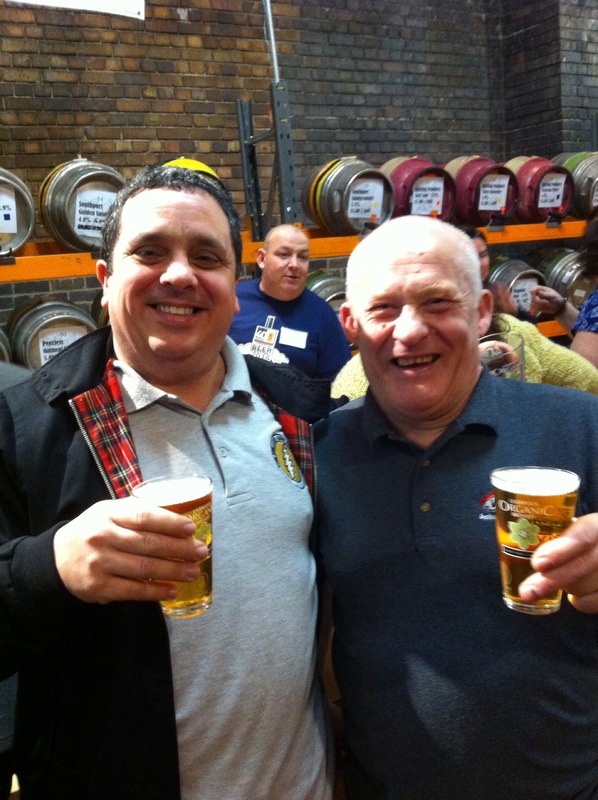 Following them were the Liverpool CAMRA guys who lingered a while, left to sample other local’s wares and came back because they couldn’t find any other cask ales in the area! Keg is not their thing apparently! Hurrah for that! because we only had cask on our bar 🙂 And the very friendly @PedroCotzier and his lady came and went twice. Very nice to me you too Pedro! Then approaching late afternoon the ‘punters’ really started to roll in! 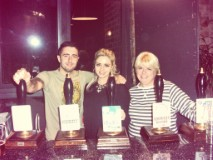 Our star of a son, John junior came along to help Mrsmelwood behind the bar. John is a footballer, recovering from foot surgery and has a few short weeks before he’s away again on pre-season training so we were lucky to have the help for the day. And what a sterling job he did! 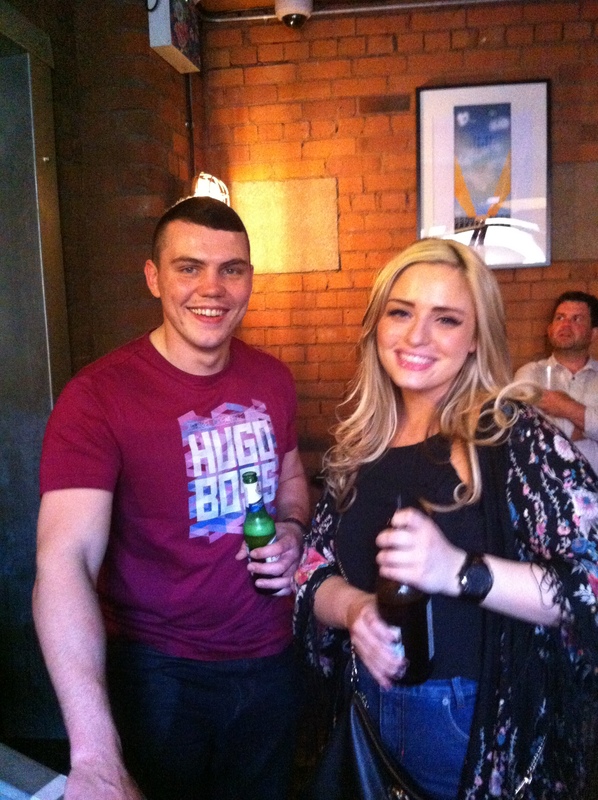 Most of the day it was him who pulled most of the beers whilst mrsmelwood did a bit of mingling with our guests! We surely couldn’t have done it without John’s help! You are a trooper, son and we are very grateful! Shakedown Street members Jason, Bill and Tim did a mellow acoustic set during the afternoon to set the vibe for the evening session and Jason did an acoustic set of his own and was accompanied for a song with former band mate Steve Cox. 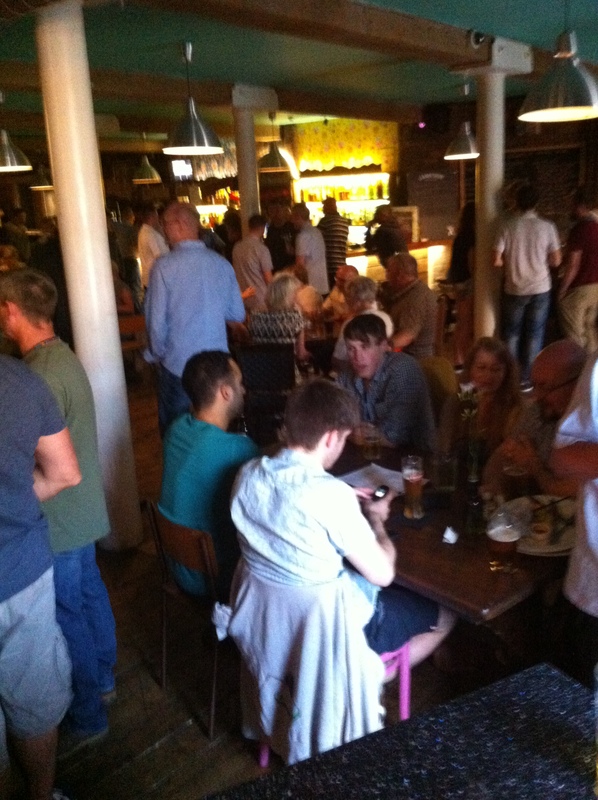 Fabulous food was consumed from the Baltic Social’s great kitchen and much beer was served from the Melwood bar. 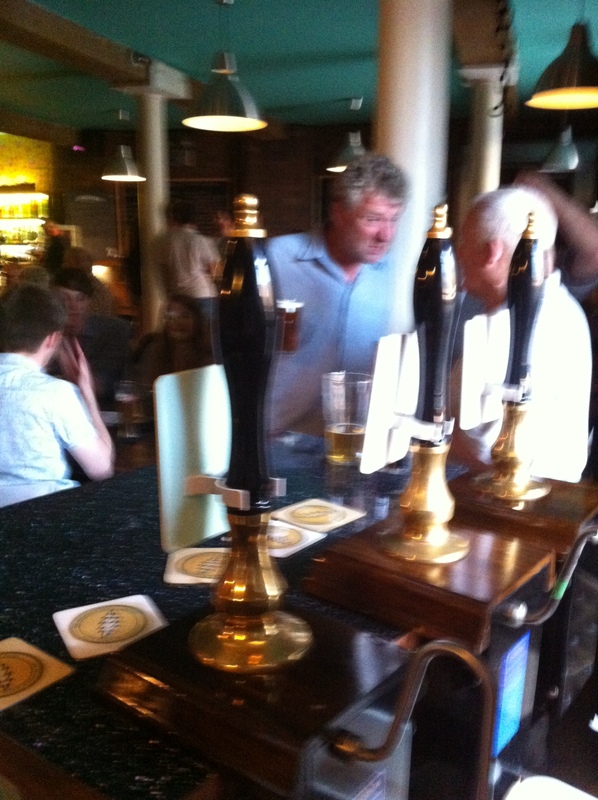 Knowsley Blonde was the first beer to go by early evening so we were able to put our flagship beer, Citradelic, on then. 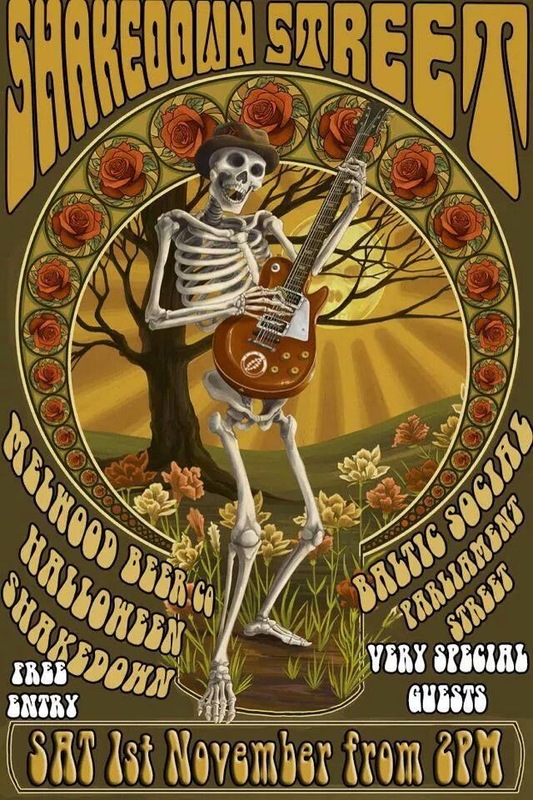 Well that sure pleased the Deadheads and by the time Shakedown Street took the stage at 9pm, the beer was flowing and queues were forming at the Melwood Bar. The Baltic’s bar was heaving too! So good all-round for everyone! Shakedown Street really rocked the place! And thanks to the Sound Man Lee, they sounded better than we had ever heard them before! It was a nice warm up for them as they will be head lining the Sol Party in Kent on 5th July. 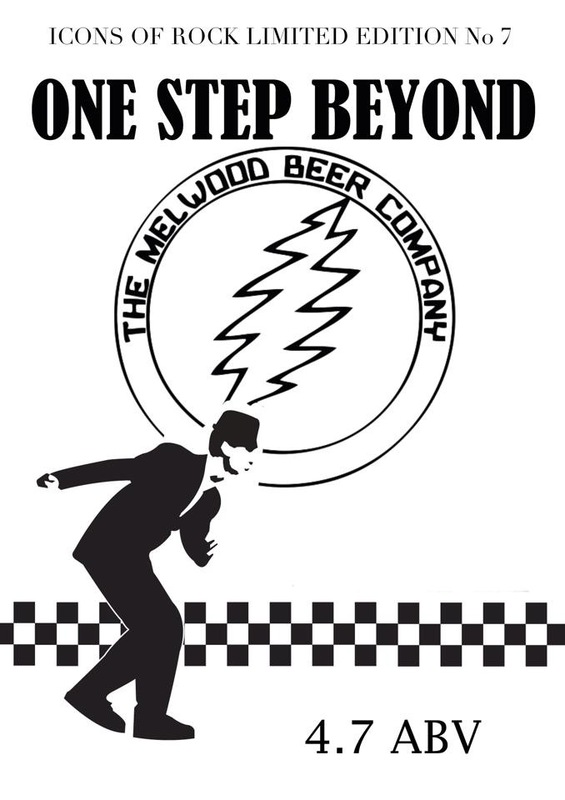 Mr Melwood will be taking a few casks of Melwood’s Deadhead down with him so they’re sure to have a good time! Stan the man made an appearance early evening to check we were serving our beer correctly and of course he stayed and got a bit tipsy too! Yay Stan!!!! 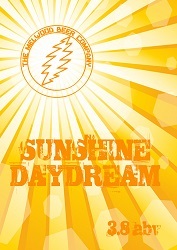 and he LOVED Shakedown Street!!! describing them as ‘great with a capital F’ and that’s praise indeed from our mentor and dear friend, Stan. 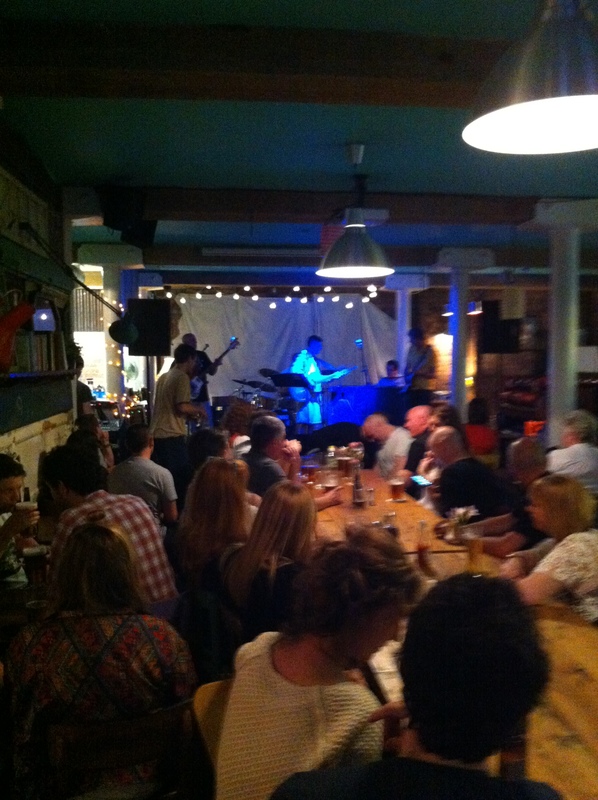 And so just after 10.30pm Shakedown Street said their goodbyes and down came the screen for the England Match. Probably the less said about that the better! But The Baltic filled up even more because the venue around the corner wouldn’t let anymore people in to see the match as they were full. 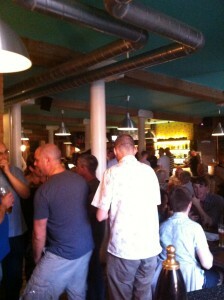 Beers still flowed and we were all having a great time anyway! Finally at the end of the match The Baltic Social closed their emptied bar, Melwood closed their emptied bar and we all packed up and went home. Hey it was 2am!!! We had the most brilliant time! The Baltic Social is the best venue in Liverpool for this type of event and we couldn’t have been more happy to serve our beer in such fine company. They want us back too so look out for more ‘shakedowns’ where you can get fab food, fine ales and marvellous music all under one roof. Thank you to everyone who came, to everyone who supported us and helped, lent and loved us; we applaud you all! We had a blast but now we could sleep for days…..zzzzz It’s been so tiring but hard work hurt no-one so we’ll be back bright eyed and bushy tailed brewing more super ales for you all to enjoy. Look out for our beers in the usual brilliant places: The Caledonia, The Belvedere, The Grapes, Liverpool One Bridewell and the Pilgrim and coming to a pub near you soon! Salut and keep drinking real ale and supporting local pubs and breweries! Just a quickie Post today. 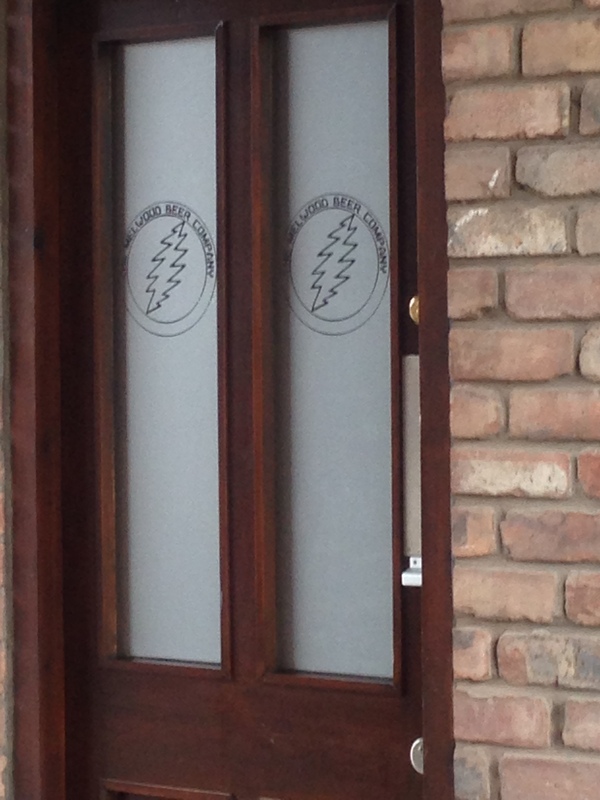 We’ve had the door updated at Melwood Office! 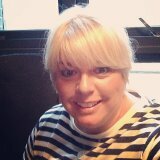 Take a look….. It looks like it’s been etched but it is in fact an opaque sticker with our logo cut out! Looks fab doesn’t it! Doing deliveries today including……The Ship & Mitre! 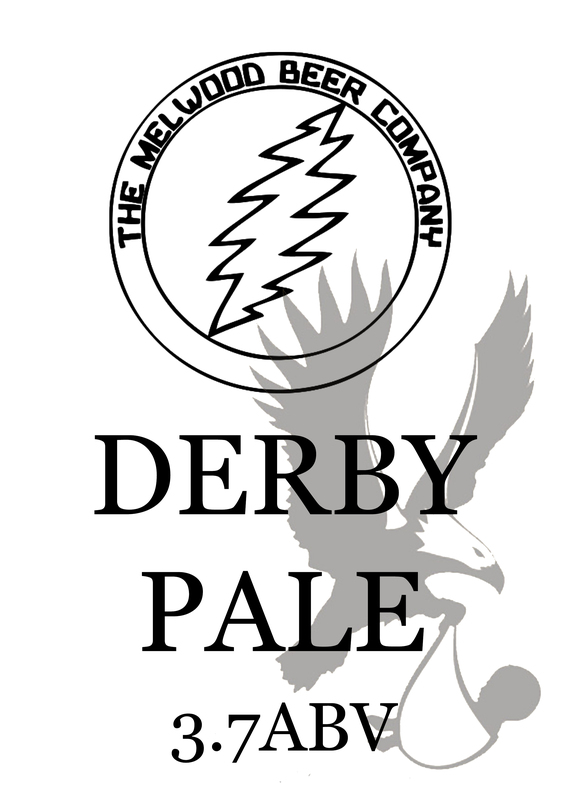 They are taking delivery of a Derby Stout and the fabulous CITRADELIC! 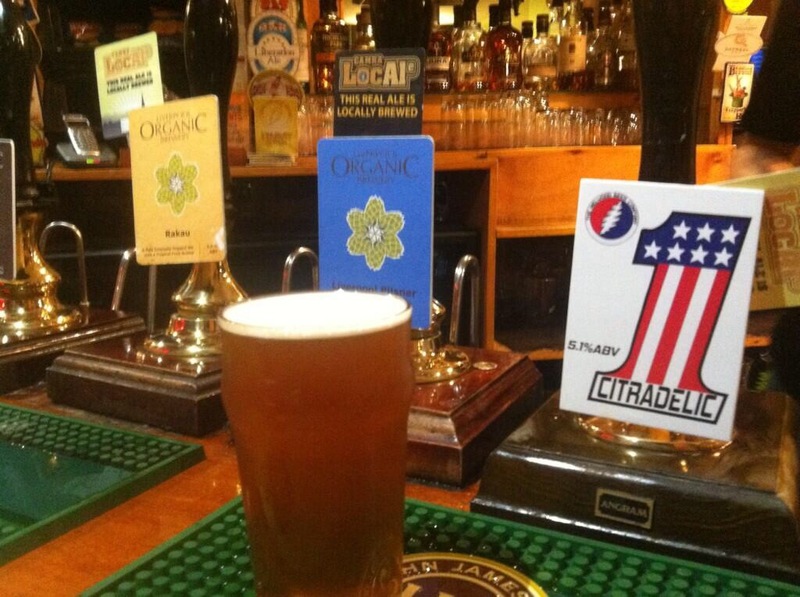 so look out for these in one of your fave pubs – we are very happy to be in there! 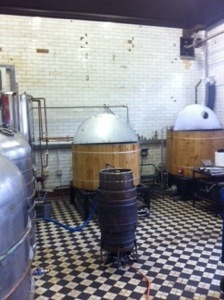 The other delivery is at The Belvedere who are taking first delivery of the new batches of KNOWSLEY BLONDE & STANLEY GOLD! Hope it’s there long enough for you to try it this weekend but if not The Super Caledonia will have a delivery this weekend too so don’t fret!